In Charleston, it takes an act of God and the approval of a committee to remove a dead tree. The same holds true for a handful of our state’s larger cities. But in South Carolina's rural counties, there are no sentries to protect the past because there is limited discretionary money. Many of those who had the wherewithal to say, “Hey, wait, this place is important,” left depressed communities for more prosperous areas, leaving behind a whole bunch of people who wish they could move and too many unprotected historic landmarks. I recently came across a person in one of those forgotten towns who can’t stand the thought of such a loss. 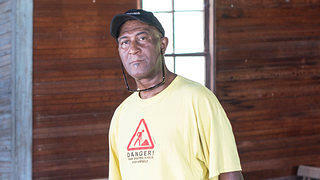 His name is Larry “Moose” Littlejohn, and he wishes to preserve the historically black Mulberry Chapel Methodist Church. Moose's connection to the area and the church has deep roots. One of his ancestors, born a slave in 1800, died a free man in 1900. On a blazing hot afternoon, I left my Greenville, South Carolina, home and drove toward Pacolet, a once-prosperous mill town in an area that was quite literally “The Textile Capital of the World.” We still have many folks who remember what life was like “back in the day” when the mill owners provided housing, jobs, and places of worship. 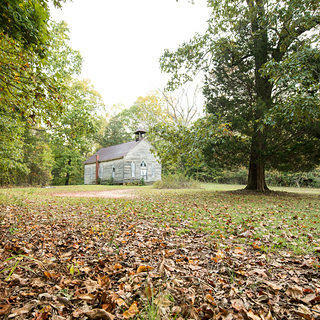 Mulberry Church, located on the outskirts of Pacolet, hasn’t been used for regular service since the 1940s. It is there that I met Larry "Moose" Littlejohn. “Even if you were a black slave you had a place to worship and live,” Moose tells me with a small smile. His ancestors were slaves. His surname is the same as the family who owned his ancestors. For sixty some years, the "Littlejohns" have held their annual reunions on the grounds of this church. We walked around the chapel, my long pants and knee high socks offering little protection from the bugs waiting to pounce from the ankle-deep weeds. A friend of mine, Bill Segars, who had met us at the church, crawled under the leaning structure to examine its foundation. A builder by trade, he later told me it would cost at least $10,000 to stop the church from its immediate risk of collapsing and another $100,000 to restore it to its original condition. Folks in Pacolet don’t have that kind of money. 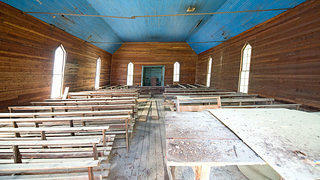 Larry "Moose" Littlejohn believes that the pews are original to the church. The braces that traverse the upper sides of the church will not prevent its collapse. 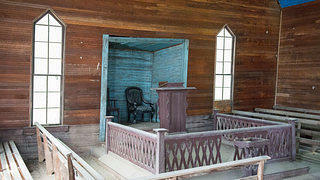 Moose believes that the pulpit is also original to the church, as is the offertory stand. Regular services in the Methodist church ceased in the 1940s. For safety reasons, only two people are now allowed inside the church at any one time. Moose's father Hilliard hopes that the recently placed historic marker marks the beginning of renovation efforts. He remembers Sundays when mules pulled wagons filled with people to worship services at Mulberry. 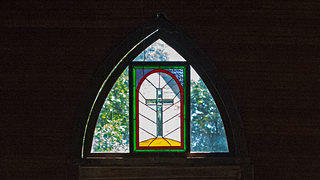 A unknown benefactor donated the beautiful piece of stained glass that is above the entryway to the church. 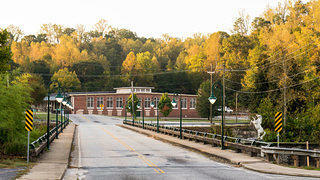 The school was built in 1915 to educate children from black families that worked in the mills. 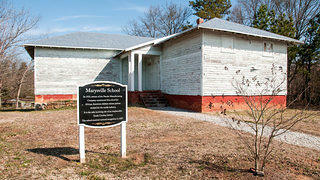 The school was closed in 1954 after the Brown vs. Board of Education Supreme Court decision, which ended segregated schools. Due to an ample supply of fast-moving rivers to power the mills and cheap labor, upstate South Carolina once attracted New England textile companies. Assuming Segars is correct, well over $100,000 will be needed to save the church, not to mention the amount of effort and knowledge it takes to form and then run the non-profit organization. Is it worth it? 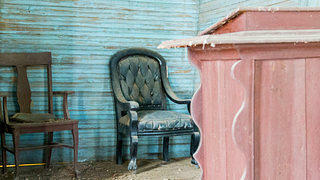 “This church is very important both to my family and to the community. It helps remind us of the past,” Moose said. I eased my car out of the field and back onto pavement. A mile or so down the road sits the well-maintained Nuckolls-Jeffries plantation house. 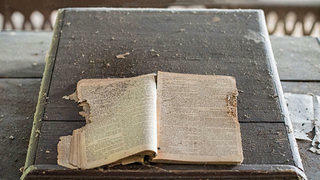 Now in private hands, it too is on the National Register of Historic Places. Seems like if we have one, we should have the other. That’s what I think. Bill Fitzpatrick is a South Carolina writer and photographer.